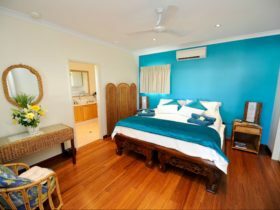 Blue Seas Resort is located just a few minutes walk to the pristine waters of Cable Beach, now home to beach lovers from around the world. 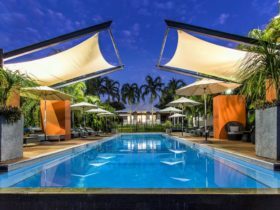 The old pearling town which previously relied on being the world’s largest producer of pearls, now blends the history together with a relaxed resort atmosphere known as Broometime. 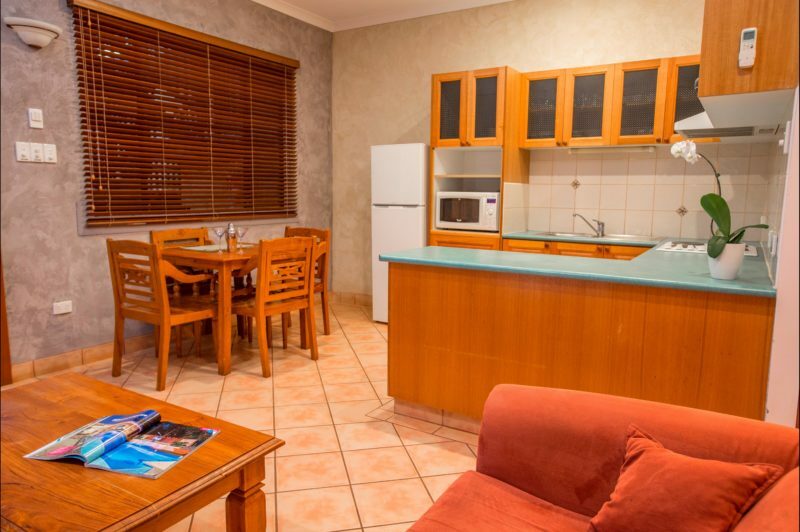 The fully self-contained apartments at Blue Seas Resort offer the highest level of luxury style. 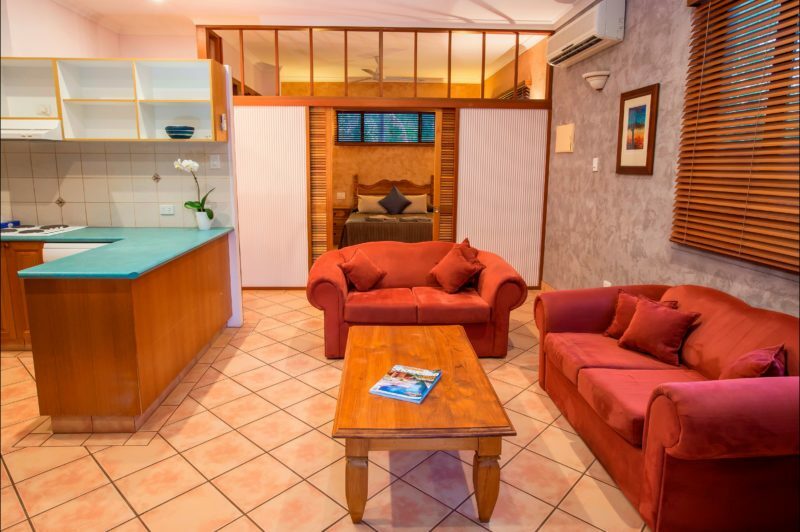 Each apartment sleeps up to four in comfort and is designed to suit adults and families alike. 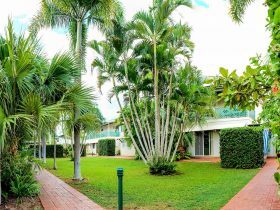 The open plan design boasts an abundance of space and is stylishly furnished, with each apartment overlooking one of the two pools. 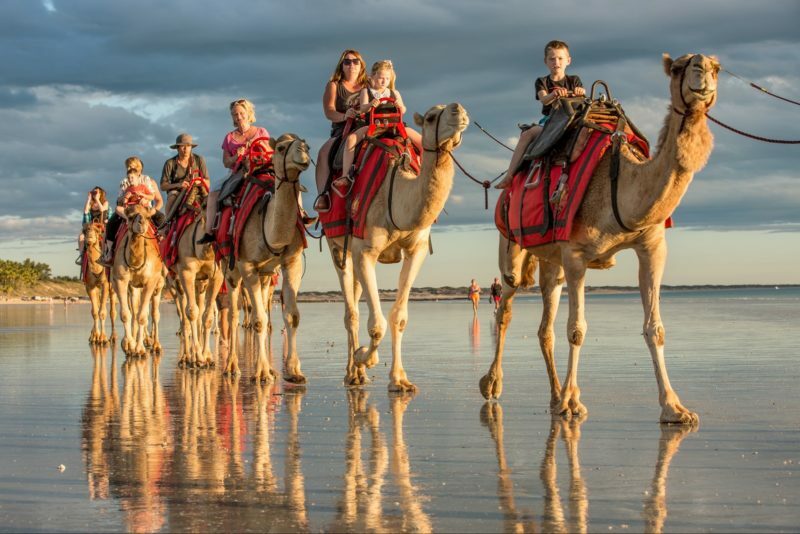 Relax in cool tropical surrounds, laze on Cable Beach or discover all the exciting things to see and do in Broome. It’s all there waiting for you at the resort. 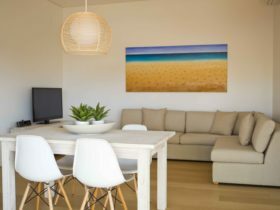 Luxurious and fully appointed, the Blue Seas studio apartments are classic expressions of style. 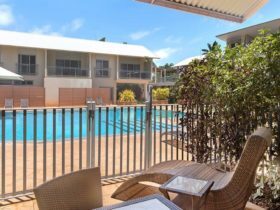 All apartments are fully self-contained, comfortably sleeping up to four people, and featuring your own veranda or balcony overlooking the crystal clear waters of one of our two inviting pools. 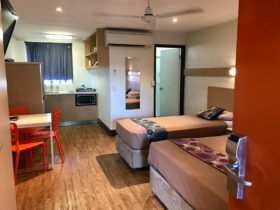 Facilities include air-conditioning, colour television with free in-house movies, CD player, radio and laundry facilities.